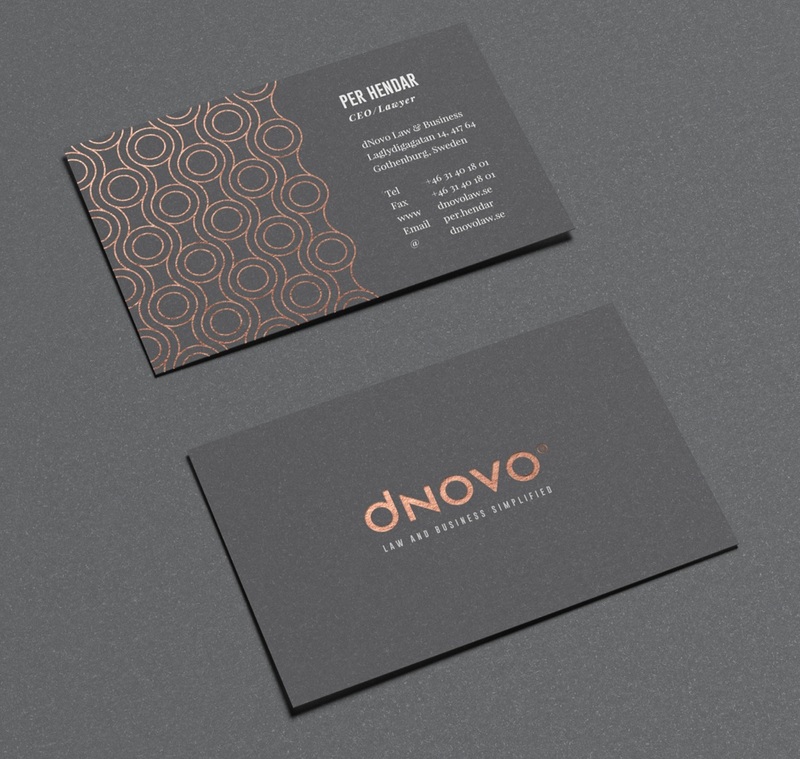 A solid and confident identity for dNovo. 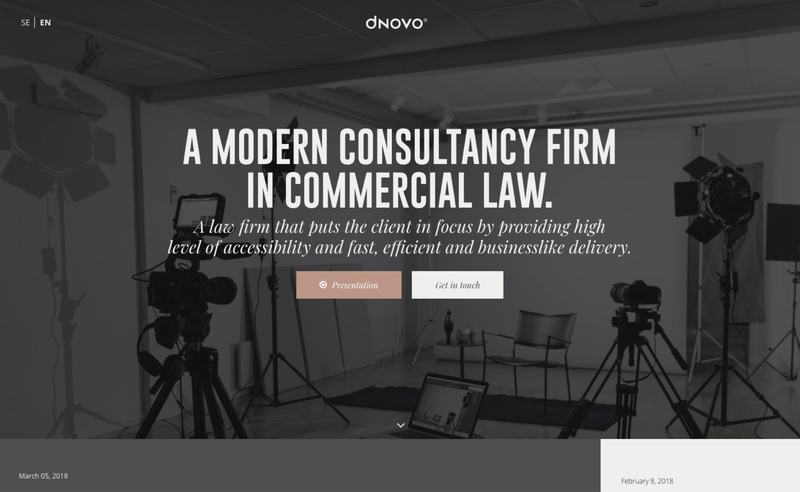 A law firm with the goal of changing their industry. BRABUS Marine is the result of a new cutting-edge alliance between two of the most renowned companies in their respective genres, bringing together the award-winning Finnish boat builder Axopar Boats and the long-established, high-performance luxury automotive car producer BRABUS to redefine luxury day boating. 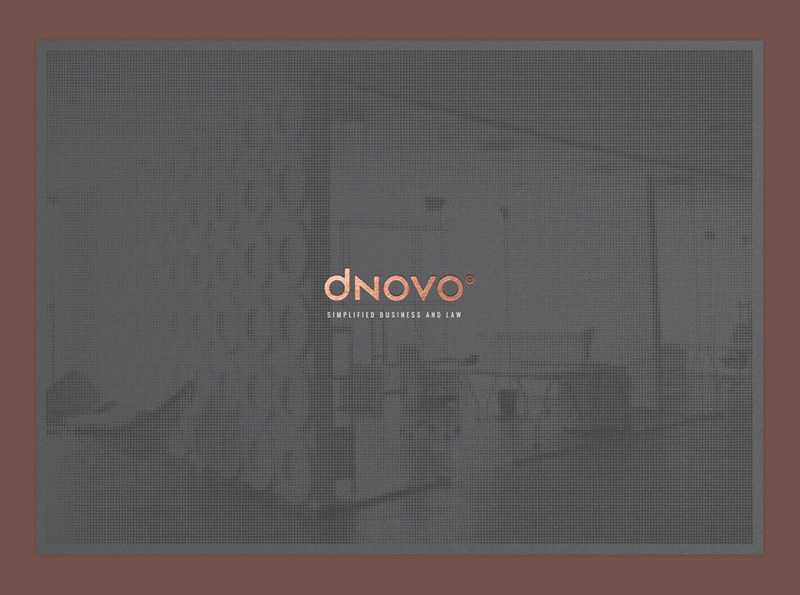 The name dNovo is taken from de novo (literally 'of new') and is Latin expression used in English to mean 'from the beginning'. 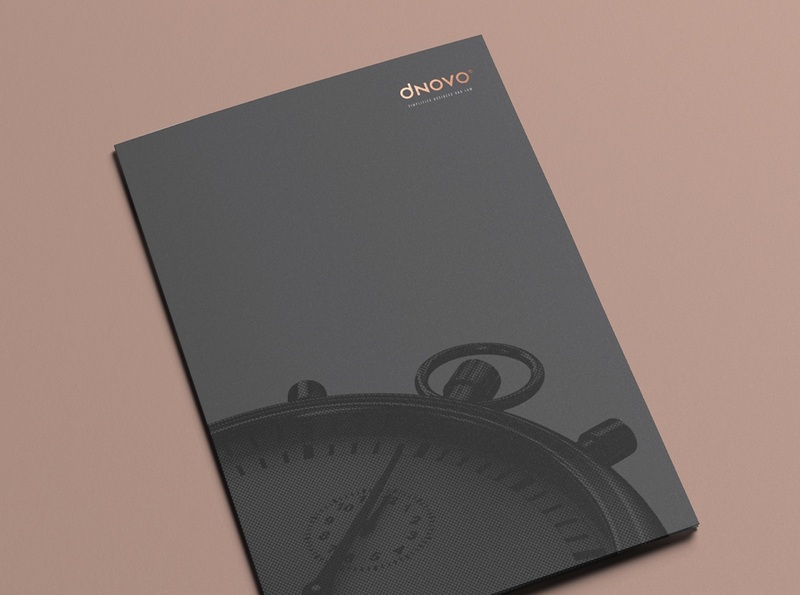 We set out to create a solid and confident identity that separates dNovo from other law firms as they have a new take on commercial law. We created a brand identity and to that web. dNovo wants to attract new and existing customers, new colleagues and to inspire industry knowledge. 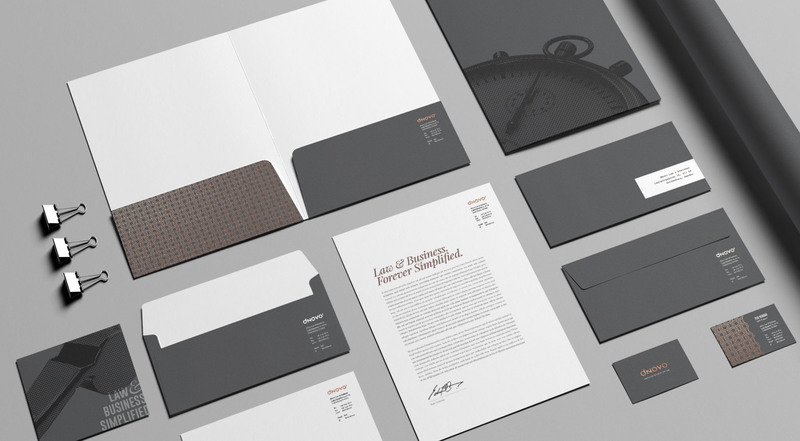 We created a brand identity and to that a website. With creative freedom, we came up with the elements for the identity including the logo itself, color palette, image tonality, pattern and graphic elements, web design and development. To kick things of we launched the brand with a short presentation video that was distributed to potential clients, partner and on sponsored on LinkedIn.